Otto Martin Spare Parts: Scott+Sargeant offer a wide range of Martin Spare Parts for various models and specifications. Using our extensive industry experience and knowledge of Martin Spares parts we can help you ensure reliability and production continuity. 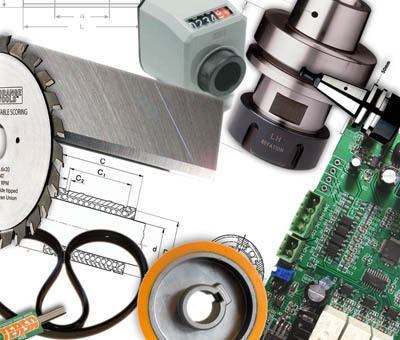 We are specialist suppliers for any Martin Machine spare parts worldwide - Planers, Spindle Moulder, Sliding Table Panel Saw or Four Side Planer we can help you in keep in production. if you have the original Otto Martin part number we can quote price and availability immediately at excellent prices. We supply spare parts for Martin woodworking machines, CNC routers worldwide in a fast, economical way. Cutter Arbor SK40 d=1 1/4"